On the 26th November, 1914 H.M.S. Bulwark was lying at her mooring in Kethole Reach to the west of Sheerness in the River Medway. On the stern at 0745 hours, the Royal Marine Band was playing and after having had their breakfast some of her crew were preparing for work on the upper deck. A few minutes later the ship was torn apart by an explosion and she quickly sank beneath the cold waters of the River Medway. H.M.S. 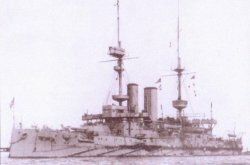 Bulwark was first commissioned in March 1902 under the command of Captain Frederick Hamilton and they joined the Mediterranean Fleet relieving H.M.S. Renown as the fleet flagship of the C-in-C on the 1st May, 1902. During 1905-06 she underwent a refit at Malta and on completion of her Mediterranean service was paid off at Devonport. Re-commissioned on the 11th February, 1907 she served as Flagship for the Rear Admiral at the Nore with the Home Fleet. On the 26th October, 1907 H.M.S. Bulwark grounded in the North Sea whilst on passage from the Moray Firth to the Thames. The following month, Captain B.M. Chambers and Commander F.E. Massy-Dawson were court-martialled at Chatham and reprimanded for negligently stranding and hazarding the ship. After completing a refit at Chatham Dockyard in 1907-08 Captain Robert Falcon Scott, who later led Antarctic expeditions was appointed to the command of H.M.S. Bulwark, the youngest battleship commander at that time. She joined the Channel Fleet on the 3rd October, 1908 and under a fleet re-organisation of the 24th March, 1909, the Channel Fleet became the 2nd Division of the Home Fleet. Towards the end of 1909 she underwent another refit and on the 1st March, 1910 H.M.S. Bulwark was commissioned into the reserve at Devonport with a reduced crew as Flagship of Vice-Admiral 3rd and 4th Divisions, Home Fleet at the Nore. After completing an eight month refit she grounded twice during sea trails in the Barrow Deep off the Nore damaging her hull in May 1912. On completion of repairs in June she was re-commissioned and joined the 5th Battle Squadron. Captain Guy Sclater assumed command of the battleship on the 17th November, 1913 and after the outbreak of the First World War, H.M.S. Bulwark was assigned to the Channel Fleet based at Portland. She was deployed on patrol duties in the English Channel. From the 5th to the 9th November, 1914 whilst at Portland, H.M.S. Bulwark provided facilities for the court martial of Rear Admiral Sir Ernest Charles Thomas Troubridge for his actions during the pursuit of the German battle-cruiser SMS Goeben and the light cruiser SMS Brealau in the Mediterranean in August 1914. On the 14th November, the 5th Battle Squadron under the command of Rear Admiral Bernard Currey in H.M.S. Prince of Wales and Rear Admiral C.F. Thursby (2nd Flag) in H.M.S. Queen transferred to Sheerness to guard against a possible German invasion of England. After completing exercises in the North Sea the 5th Battle Squadron returned to their anchorages off Sheerness in the estuary of the River Medway. H.M.S. Bulwark was moored to No.17 buoy in Kethole Reach and was destroyed there by an explosion at 0750 hours on the 26th November, 1914. Of her complement of 750, no officers survived and only 14 men were rescued five of whom subsequently died from their injuries in the Royal Naval Hospital at Chatham. For the fortunate few that survived, some had been in Number 1 Mess-Deck amidships and were blown out through an open hatch. During the afternoon of the 26th November, after question time in the House of Commons the First Lord of the Admiralty Winston Churchill made the following statement: "I regret to say that I have some bad news for the House. The Bulwark battleship, which was lying in Sheerness this morning blew up at 7.53 a.m. The Vice and Rear Admirals who were present have reported their conviction it was an internal magazine explosion, which rent the ship asunder. There was apparently no upheaval of water. The ship had entirely disappeared when the smoke cleared away. An enquiry will be held tomorrow, which may possibly throw more light on this occurrence. The loss of the ship does not sensibly affect the military position, but I regret to say that the loss of life in very severe. Only twelve men were saved, and all the officers and rest of the crew, which, I suppose amounted to between 700 and 800 persons have perished. I think the House would wish me to express on its behalf the deep sympathy and sorrow with which the House had heard the news, and the sympathy it feels with those who have lost their relatives and friends." Witnesses who saw the explosion all related a similar story of seeing a huge sheet of flame, thick smoke, followed by an explosion and the ship suddenly disappearing. Those on the upper deck of H.M.S. Implacable, the next ship in line to H.M.S. Bulwark reported, "a huge pillar of black cloud belched upwards and from this column, flames appeared running down to the sea level. This was followed by a thunderous roar some lesser explosions and finally a huge explosion that shook H.M.S. Implacable from stem to stern". Vessels moored close to the Bulwark had their crockery and glassware broken. A lieutenant on H.M.S. London noted in his diary: "As smoke cleared we saw a circle of debris". Boats were quickly launched from the other ship's moored nearby and rescued a total of 14 men others were found floating terrible mutilated and dead. The concussive effect shook many buildings in Sheerness and Southend, six miles away on the Essex coast. Contents from the ship were dispersed over a wide area. Pieces of metal, some scorched and burnt, personal items of crew members, photographs, letters, books, journals etc were found scattered over the Kent countryside. These and other items were later found and collected by individuals and groups - boy scouts were used - and taken to police stations or handed over to the naval authorities. A survivor Able Seaman Frederick Marshall, when interviewed stated that he was sitting in No.1 Mess, having his breakfast. Suddenly he felt a big draft and found himself rising in the air and seeing the masts of the ship flexing. After that he remembered nothing until he was in the water. Managing to swim to some floating wreckage he was picked up by a boat. On reaching a ship he walked up the gangway and at the top asked for a cigarette! His injuries were facial cuts which were caused by the fragmentation of the bowl from which he was eating his breakfast. Another survivor Leading Seaman William Johnson was talking to another seaman by the mess deck table and both saw a bright light. Johnson then became aware that he was in the water and was rescued having sustained fractured ribs and cuts to his face and head. The other seaman was never seen again. Speculation quickly circulated in the press that a periscope had been sighted in the estuary and that H.M.S. Bulwark had been torpedoed or had been struck by a mine. There was no evidence to substantiate these stories and the naval authorities summarily dismissed them as rumour. The possibility of sabotage was considered as a few days before the explosion a man of foreign appearance - possibly a spy - had been seen in Sheerness and had "taken an undue" interest in the ship. After the loss of two more ships in similar circumstances during the war the sabotage theory was re-kindled. On the 30th December, 1915 H.M.S. Natal an armoured cruiser blew up in Cromarty harbour after a fire broke out on board with the loss of 405 men. H.M.S. Vanguard a dreadnought battleship was lying in Scapa Flow when she blew up on the 9th July, 1917. Only two seamen from a crew of 670 survived. The authorities arrested a man 'who was able to speak German' and confined him in the Tower of London on suspicion of sabotage. He was subsequently released. Two days after the Bulwark was destroyed an Inquest was held on the bodies of thirty victims at the Royal Naval Hospital, Chatham by the County Coroner Mr. C.B. Harris. He told the jury that they were to investigate the appalling disaster which occurred on H.M.S. Bulwark. The facts had not yet been established other than that on Thursday morning of the 26th a violent explosion on board was so destructive as to cause the ship to be destroyed and that of the whole crew except for a few men. A naval Court of Enquiry was to investigate the facts and until the findings were made known it would be necessary to adjourn the Inquest as necessary. Mr Harris proposed that they would only identify those where identity could be established and then adjourn. Of the first thirty cases only sixteen bodies were positively identified. Over the following days and weeks more bodies were recovered from the estuary and marshy inlets of the River Medway. After each inquest was completed, the body whether or not it had been identified was released for burial. 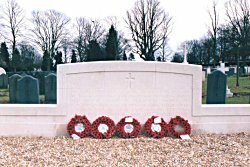 On the 30th November seven identified bodies and fourteen unidentified were buried in the Naval Reservation Section in Gillingham (Woodlands Road) Cemetery with full military honours. The latter were buried in a plot which would eventually hold seventy unidentified bodies. Sixty-six bodies which were identified as crew members of H.M.S. Bulwark now lie in the naval section of the cemetery. Some of the deceased men were claimed by their families for interment elsewhere. The Coroners enquiry into the deaths of the victims continued throughout December. At the end of the month after thirty-nine cases had been considered more facts became available for the jury to consider. Those present at the inquest on the 31st were Mr G.W. Ricketts, a barrister and Mr E.L. Raker, a solicitor both representing the Admiralty; Surgeon-General J. Johnson; Rear Admiral E.F.A. Gaunt, Commodore RN Barracks, Chatham and Major Cooper Key H.M. Inspector of Explosives. They heard from an eye-witness, Lieutenant B.G. Carroll, assistant coaling officer at Sheerness who stated that on the 26th November he was proceeding down river in the steamer Eagle and passed H.M.S. Bulwark at about 0750 hours. There were four battleships at their moorings and he noticed that there no barges alongside the Bulwark. He saw the signal she had raised indicating the number of tons of coal she had on board, and then suddenly a large flame leapt up from behind the after barbette. Then the flame appeared to run from the after-turret forward and the whole ship rose in the air aflame followed by a terrific explosion. Lieutenant Carroll turned his vessel around to render assistance and from amongst the debris his crew picked up six of the crew - all dead. The Coroner asked him what he thought had happened to which Lieutenant Carroll replied that one of her eleven magazines had blown up. Rear Admiral Gaunt, who had been appointed president of the Admiralty Court of Enquiry into the loss of H.M.S Bulwark, had begun their investigations on the 28th November. The Coroner asked Rear Admiral Gaunt if they had made scientific and exhaustive enquiry concerning the loss. Replying affirmatively, he related that no ammunition was being loaded that morning and those eye witnesses who had told the press that three barges were alongside the ship were mistaken. He found no evidence to suggest that the explosion was external and nor was it caused by an act of treachery. It had been established that it was common practice to store ammunition for the ships 6-inch guns in the cross-passageways which connected with her eleven magazines and the Bulwark had been on exercises in the North Sea prior to arriving at Sheerness. Contrary to regulation 275 6-inch shells may have been left in the passageways after the exercise and placed together most touching each other and some touching the bulkhead of the magazine. One or more of those shells could have been damaged and weakened the fusing mechanism causing it to become 'live'. A blow to the shell through being dropped point down could have set off a chain reaction of explosions amongst the other shells in the cross-passageways sufficient to detonate the ships magazines. Many of the sailors on board were reservists and perhaps the strict rules concerning movements of ammunition had not been fully observed. Rear Admiral Gaunt made it clear to the jury that the ignition of the explosive material was accidental. The Court of Enquiry, he continued were of the opinion that hot ashes drawn from the boilers had been heaped up against the boiler room after bulkhead, to cool down before being hoisted up on to the upper deck. In the next compartment aft of the boiler room bulkhead was a magazine. Investigations had revealed that on other similar ships areas of paintwork on the magazine side of the bulkhead was noticeably darker and in some cases blistered. The heat transference could therefore if of a sufficient temperature cause any loose cordite in the magazine to ignite. However, the real cause of the explosion would never be known. The Admiralty was therefore satisfied that the loss of the ship was accidental. Major Cooper Key told the Coroner that during the loading of and movement of ammunition special procedures and the utmost care was always taken. The cordite was in good condition and stable and all supplies of cordite to the navy were regularly tested. The Coroner after hearing these statements pronounced to the jury that they were now able to arrive at the cause of the disaster. "That the vessel had been destroyed by the exploding of a magazine or magazines - it was not certain which - and it was probable that some loose ammunition or cordite may have been detonated by some means that caused the explosion. There was no evidence of any external cause and the burns and multiple injures was the cause of death in almost all of the cases heard so far. The findings of the Court of Enquiry were satisfactory and endorsed that cause of death was by accident". The jury agreed and returned a verdict of 'Accidental Death' in the thirty-nine cases. On behalf of the jury the foreman expressed their admiration of the professionalism in which the Mortuary Keeper at the hospital had carried out his duties and that of the Coroner's officer in such trying circumstances which were far from pleasant. The Mortuary Keeper, Mr Joseph Kelly was most assiduous in pursuing minute details to identify the bodies. Some on arrival at the hospital were beyond recognition. Most were only partially clothed and identification relied on initials, signet rings, tattoos and other small personal effects found on the bodies. The Coroner was in possession of a crew list supplied by the Admiralty to help the identification process. Naval service records contained personal details of height, colour of hair, eyes and distinguishing marks. Superstition at that time prevented many sailors from wearing identity discs as they thought that wearing them would mean certain death. Grieving relatives who were able to view some of the bodies helped to confirm the names of the deceased. By the Spring of 1915, over two hundred bodies had been recovered and viewed by the Inquest jury. 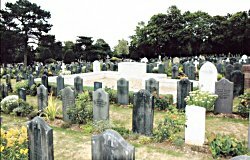 Verdicts of 'Accidental Death' were pronounced on the deceased, and those who were unable to be identified were interred in a large grave in Naval Section of Gillingham (Woodlands Road) Cemetery - all buried with full military honours. 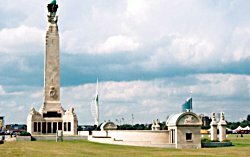 The majority of those lost in the disaster have no known grave and their names are inscribed on the Portsmouth Naval Memorial. Although H.M.S. Bulwark was a 'Chatham' ship most her of crew who were naval reservists came from the Portsmouth area. Although the explosion was a worrying concern for the inhabitants of Sheerness there were very few local families affected. The loss of so many men was a personal one for families spread across the country. Sorrowing relatives travelled to the Medway towns to attend the inquests and burials. 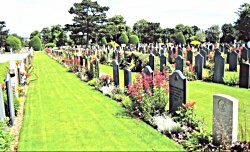 The local press recorded many tearful and emotional scenes, at the graveside, often in pouring rain of the relatives bidding a final farewell to the deceased. 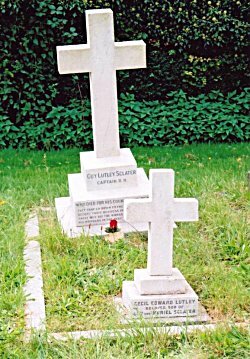 The body of Captain Guy Sclater was claimed by his family and taken to Odiham for burial in the cemetery there. His name is inscribed on the war memorial and on a plaque in All Saints Church. Private Reginald Tanswell R.M.L.I., was buried in Blandford Cemetery and his name is inscribed on the town's war memorial. Some of those from Dorset who lost their lives were: Chief Stoker William Marsh from Burton Bradstock; Stoker Petty Officer Frederick Dorey from West Lulworth; Stoker Petty Officer Frederick Foord from Wyke Regis; Stoker Petty Officer Joseph Ireland from Weymouth; Leading Stoker Frederick Travers from West Knighton; Leading Stoker Edward Traves from Powerstock; Stoker 1st Class Tom Brown from Stalbridge; Able Seaman George Horn from Swanage; Boy 1st Class William Lynes from Child Okeford; Telegraphist William Vincent from Dorchester; Shipwright Tom Brett from Burton Bradstock. The 90th Anniversary of the loss of H.M.S. Bulwark was commemorated during a two-day event by the H.M.S. Bulwark, Albion and Centaur Association in November 2004. Those present included a great granddaughter of one of the victims who had travelled from Australia. The Mayors of Sheerness and the Medway Towns, Naval representatives, civic dignitaries, the Royal British Legion and many local people were also present. After a two minute silence wreaths were laid at the graves. Divers who were deployed to search for the wreck on the 29th November 1914 reported that the ship's bow had been split apart and blown off. The port bow was 50-ft from the mooring and the starboard 30-ft further away. So violent was the explosion that no other large pieces of wreckage were found. The wreck now lies in a restricted area, designated a war grave under the Protection of the Military Remains Act by the Admiralty and is marked by two buoys - the East Bulwark and West Bulwark in the estuary of the River Medway.